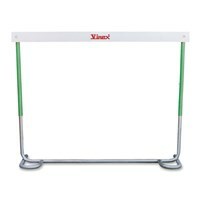 VSH-101 ...... ...... IAAF Approved. Strongest hurdle made of 50 mm square steel tube, zinc plated. Height is adjustable by easy snap locking system upto four levels. 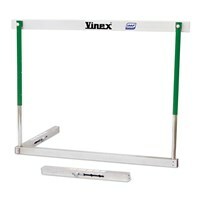 PVC coated counter weights adjust to meet precise official pullover force at each of the 5 heights. 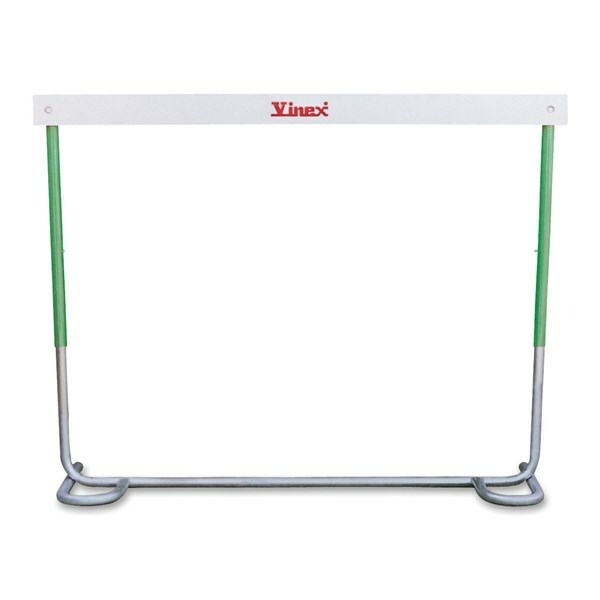 Folding design of Vinex Pro Hurdle reduces the volume of the hurdles, which saves cost on space / transportation. Vinex PRO HURDLE is backed by IAAF certification and has the experience of many International and National meets. Available at an attractive price. 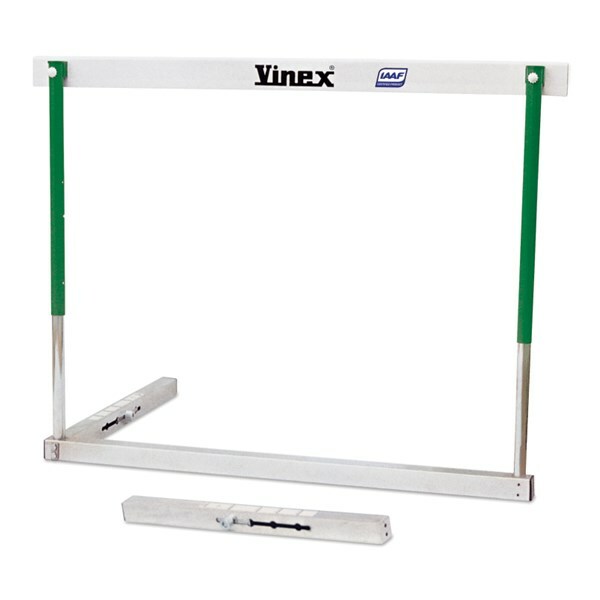 Extra strong hurdle with 50 mm flat steel base. Powder coated frame. 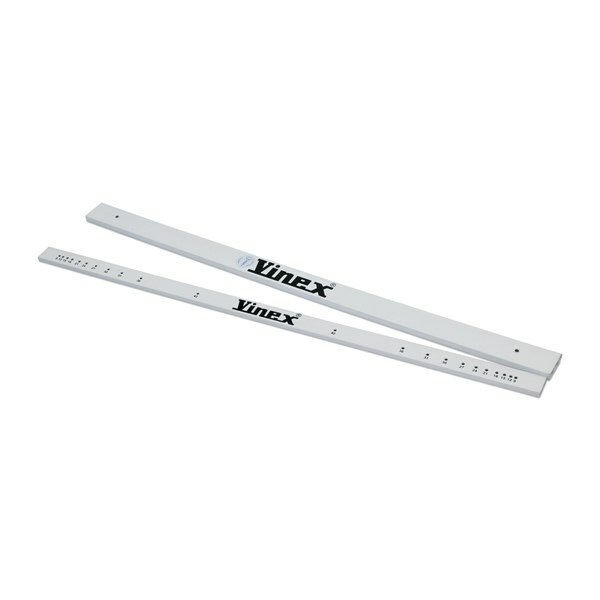 Easy height selection by snap locking mechanism. PVC coated counter weights meet precise official pullover force at all 5 heights. 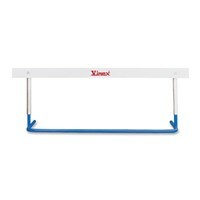 This hurdle is made of Aluminium, is light weight yet sturdy. 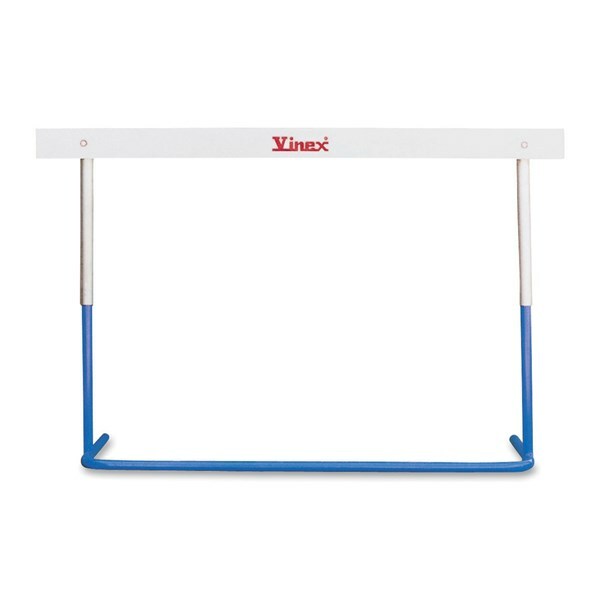 The bounce back feature of this hurdle makes it one of the best hurdles for school level competitions & practice. 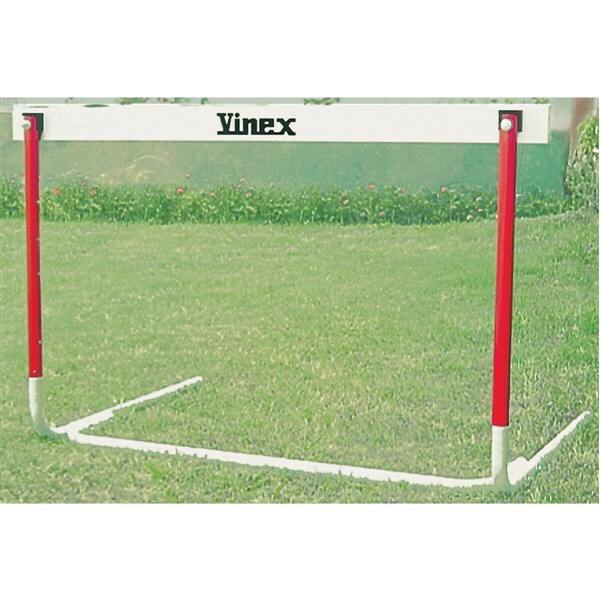 It features natural anodising, lexan gateboard, 5 height adjustments as per IAAF rule. This hurdle packed in a box in dismantled state. 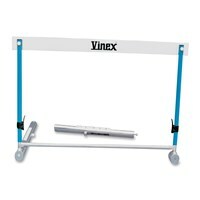 Can be easily assembled/dismantled for easy storage and transportation. 5 height adjustments as per IAAF rule. 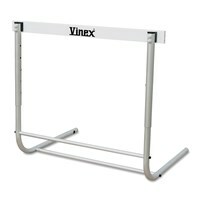 This hurdle comes packed in a box in dismantled state. 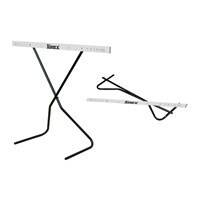 Can be easily assembled/dismantled for easy storage and transportation. 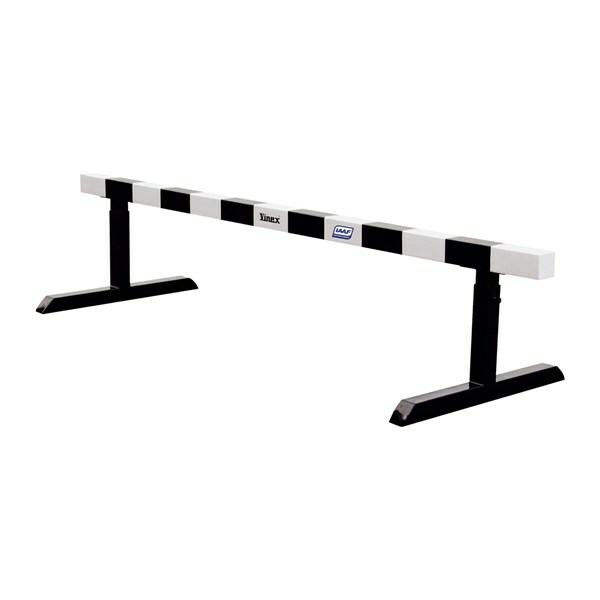 This hurdle collapses if knocked. Made of square Steel tube, featuring galvanizing and powder coating for durability. Comes in 5 heights as per IAAF specifications. Designed for maximum durability. 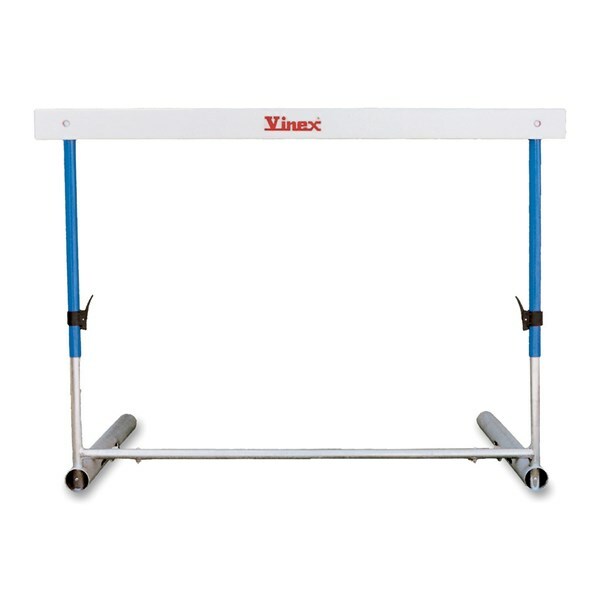 Detachable legs made of round steel tubular pipe make the hurdle easier in transportation. 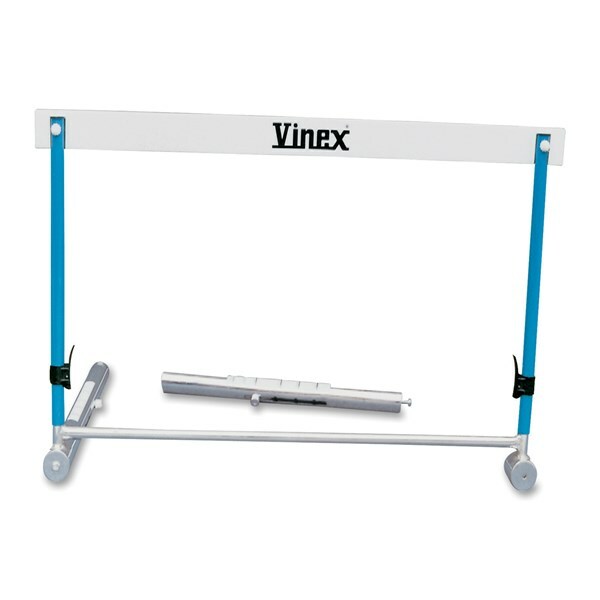 Adjustable weight for different heights varying from 0.762 to 1.067 meters, galvanized to prevent rusting, sliding tube with spring loaded plastic locks for quick adjustment of height. 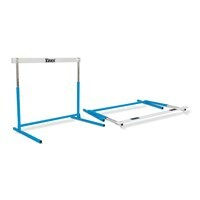 Best quality hurdle used for practice and competitions. 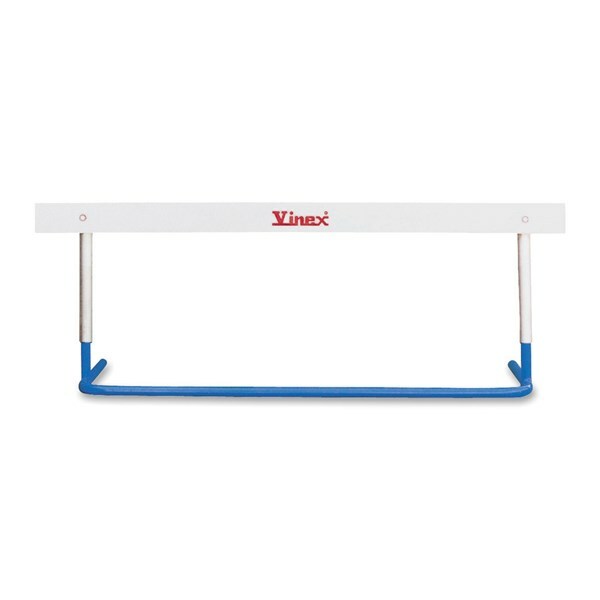 Inside concealed weights help the hurdle to come back when knocked by the athlete. Easy height adjustment by spring loaded plastic locks. 5 height adjustments as per IAAF rule. 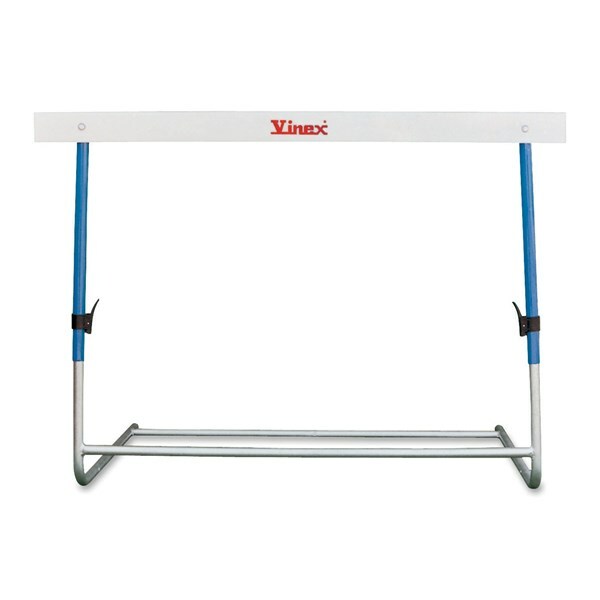 Hurdle with compact base and sliding tube. Height adjusted by concealed push-buttons. 5 height adjustments as per IAAF rule. 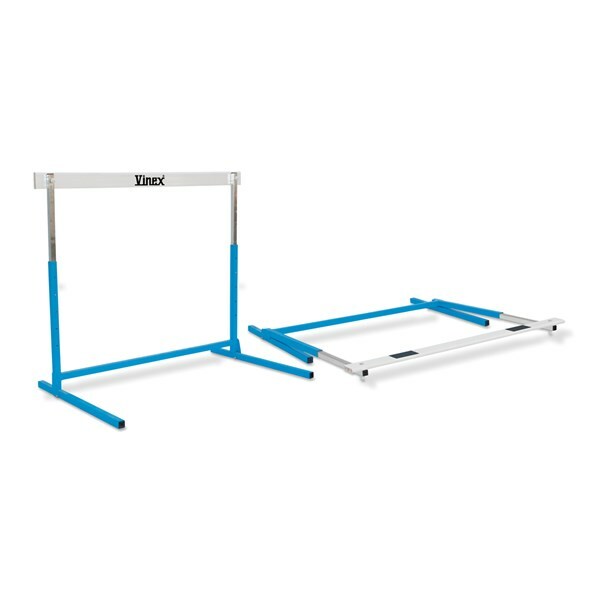 Hurdle with compact base and sliding tube. Height adjusted by concealed push-buttons. 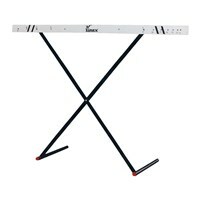 Height adjustable at 45 cm, 50 cm, 55 cm, 60 cm, 65 cm and 70 cm. 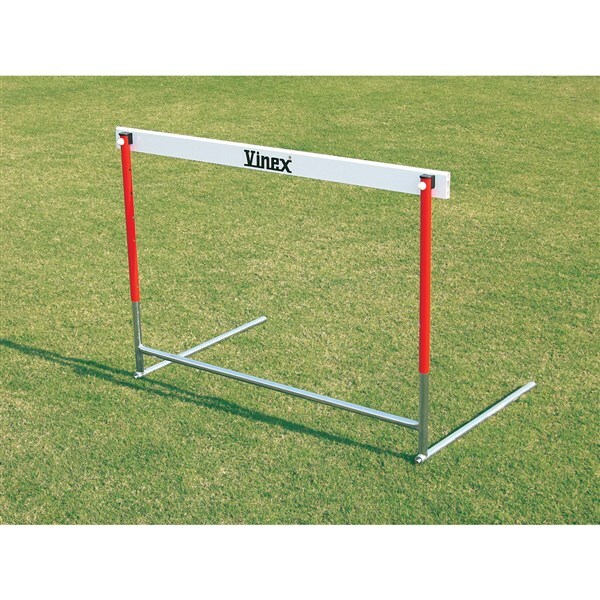 The special design of this hurdle makes it one of the best hurdles for school level competition & practice. 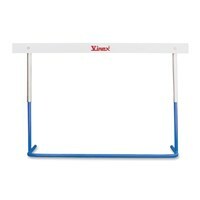 It features powder coated paint, fixed weighted base, lexan gateboard and 5 height adjustments as per IAAF rule. 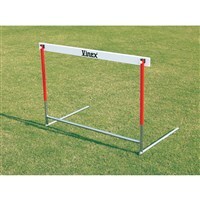 This hurdle is detachable from the base which makes the transportation of the hurdle easier& economical. 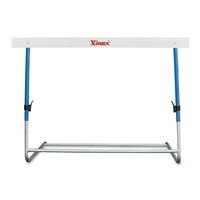 Steel hurdle, light weight, 5 height adjustments as per IAAF rule by concealed push-buttons. Ideal for schools. 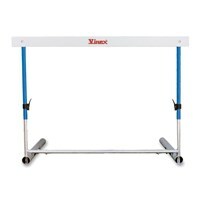 Steel hurdle, light weight, height adjustment by concealed push-buttons height varies from 45 cm to 68 cm. 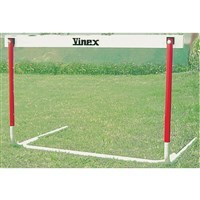 Lexan gateboard suitable for all models of Vinex Hurdles except Scissor Hurdle. 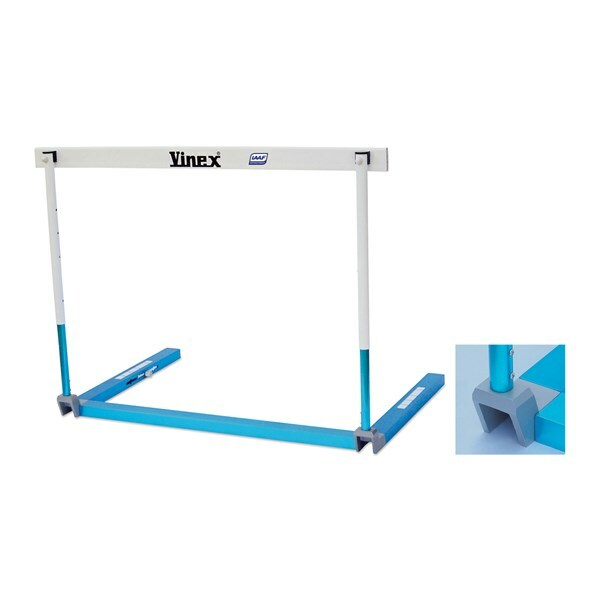 PVC gateboard suitable for Scissor Hurdle models. Please confirm Model No. of Hurdle while ordering Crossbars. 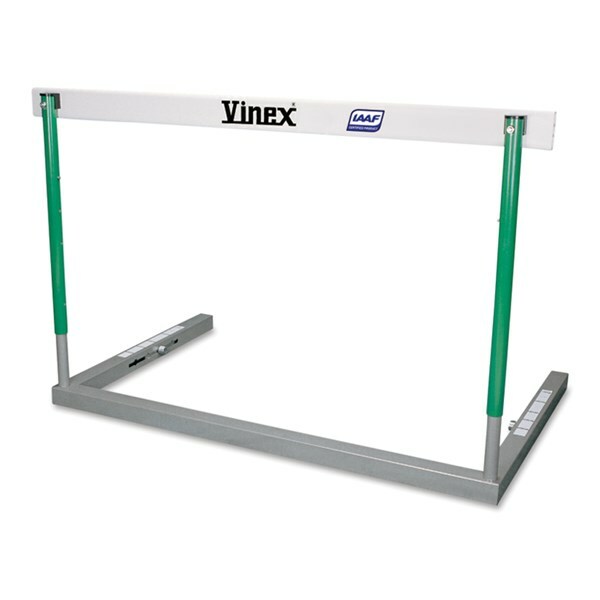 Scissor type hurdle made of round steel tubular pipe. 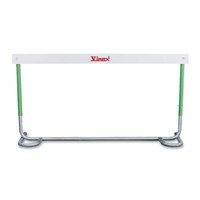 Height range 9" to 36"
Scissor type hurdle made of steel strip. 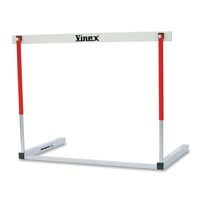 Height range 9" to 36"
Barrier beam made of 100 mm X 100 mm Steel Tube, covered with water proof plywood. 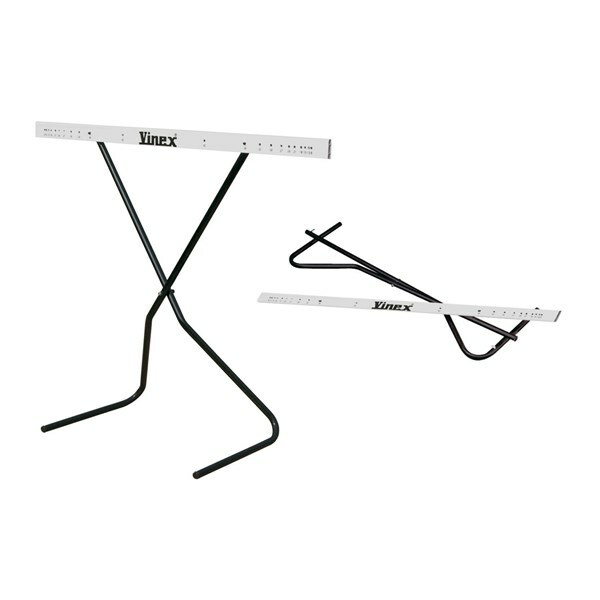 Base legs have spring loaded snap-locks for easy height (3 heights) adjustment. SCB-100 ...... ...... IAAF Approved. 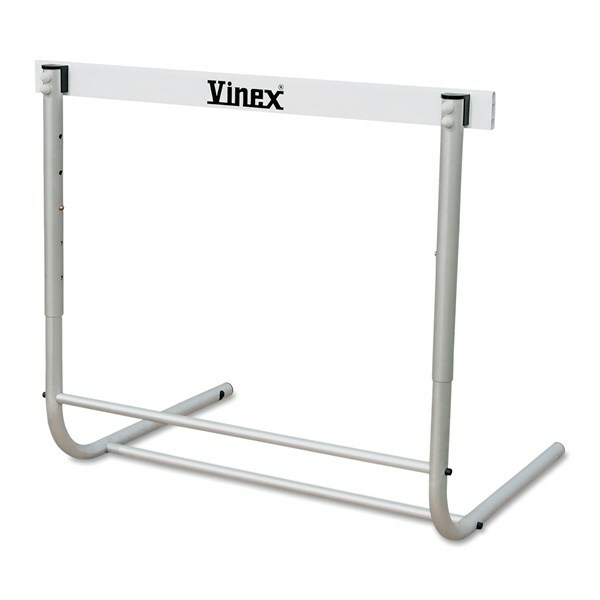 Superior quality competition hurdle made of Heavy Gauge semi-circular Aluminum Alloy Tube with wider flat base for superior stability on the ground. 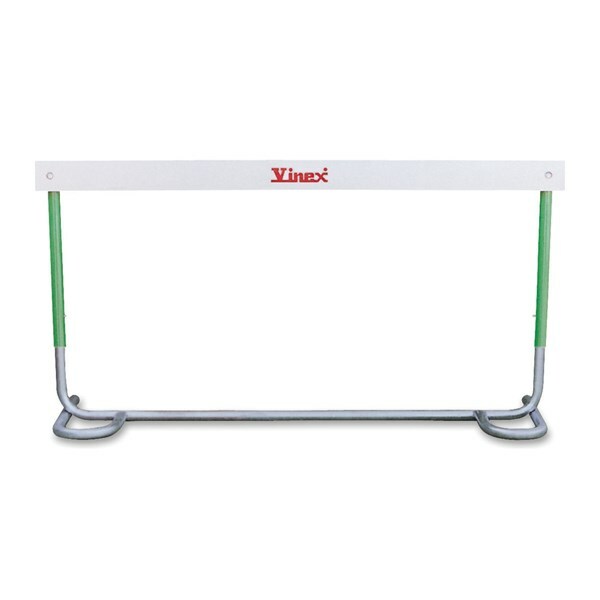 Weight of the Hurdle adjusts automatically according to the height as per regulation Tip-over position. VSH-666 ...... ...... IAAF Approved.